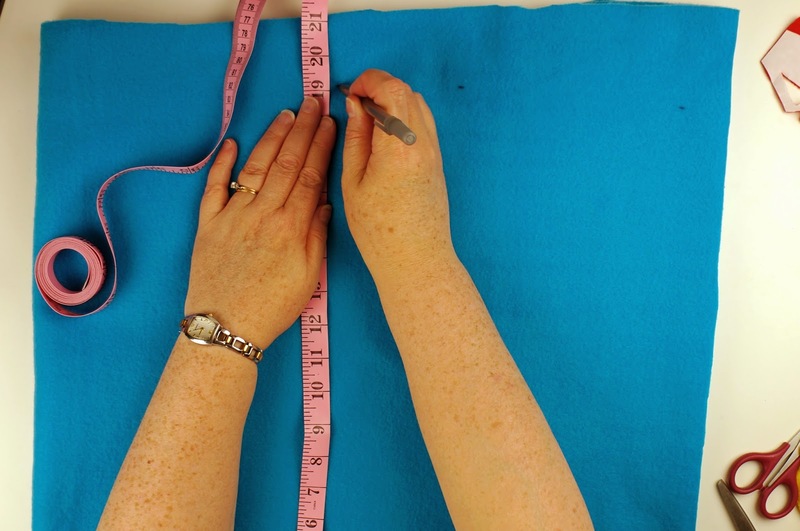 Begin by figuring out the length of your scarf without fringe out of the blue fleece. We made ours 2 meters (80"). 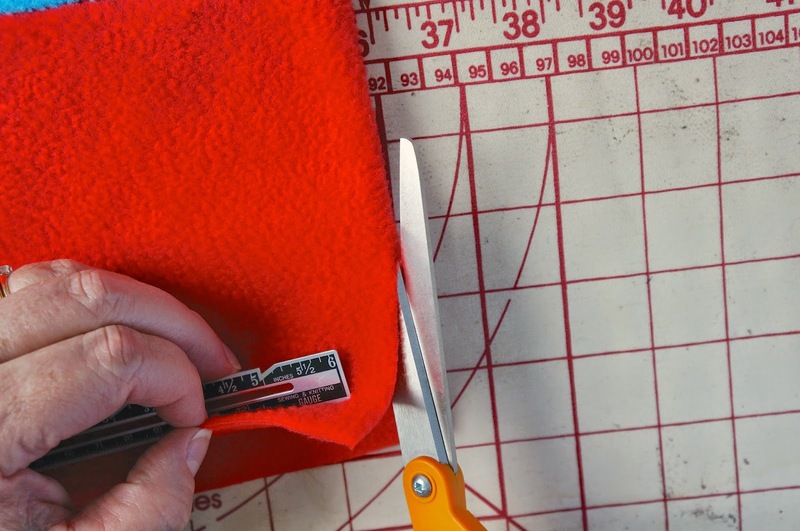 Straighten the ends of the fabric and cut off the selvage. 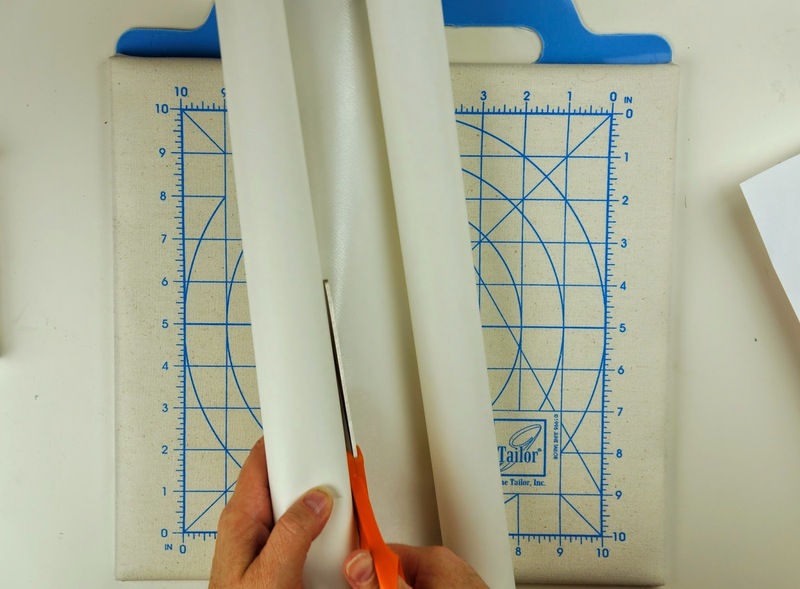 Measure, mark and cut 19" wide from where you cut the selvage off. This will make a 9" wide scarf, double thickness, with a half inch seam. 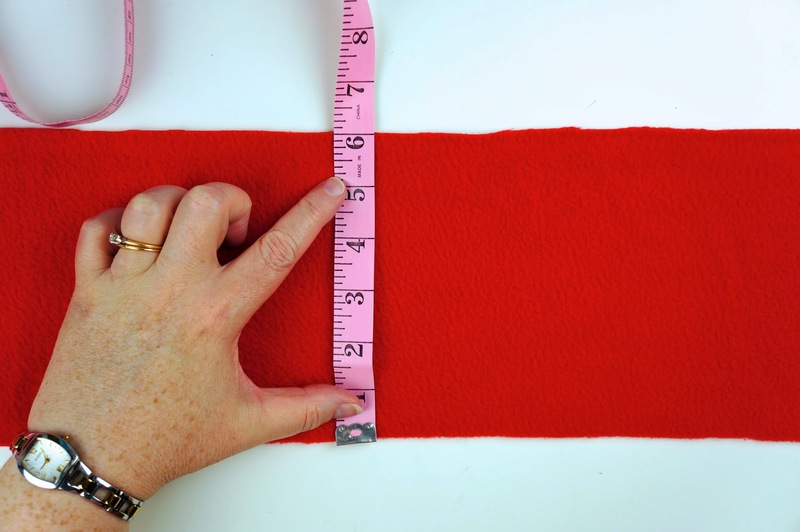 Out of your red fleece, measure a piece 19" wide by 6" long for the fringe. 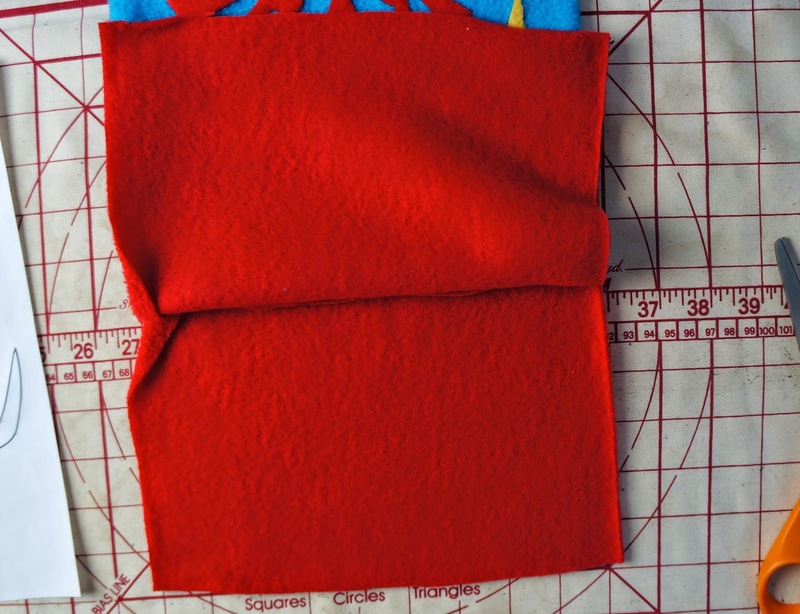 This will be for 1 end, if you want both ends to have fringe cut another piece the same size. 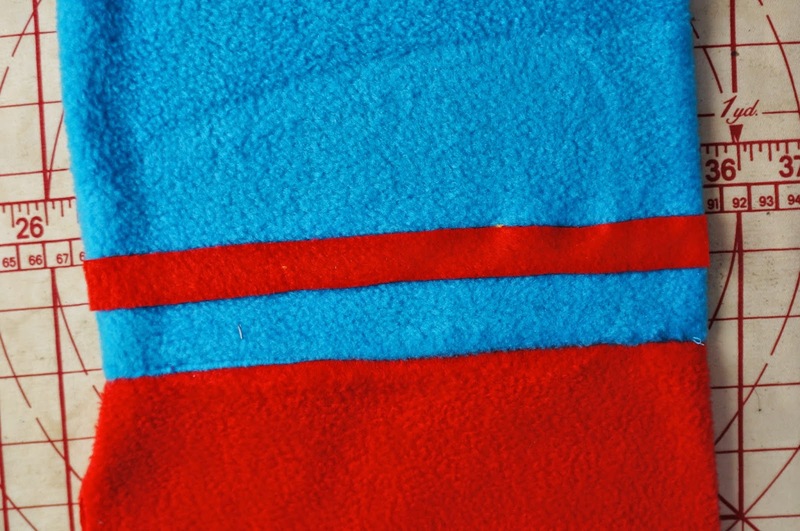 With right sides together, pin the red fleece to the end(s) of the blue fleece. 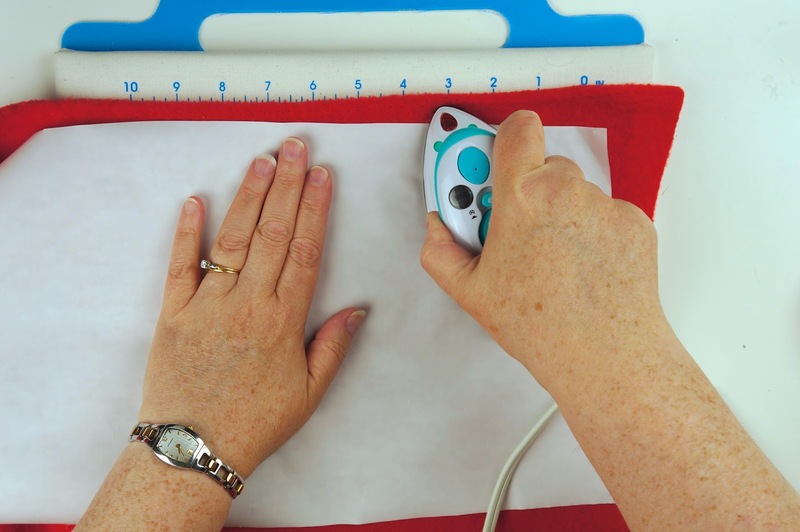 Using your sewing machine, sew pressure foot width the two pieces of fleece together. 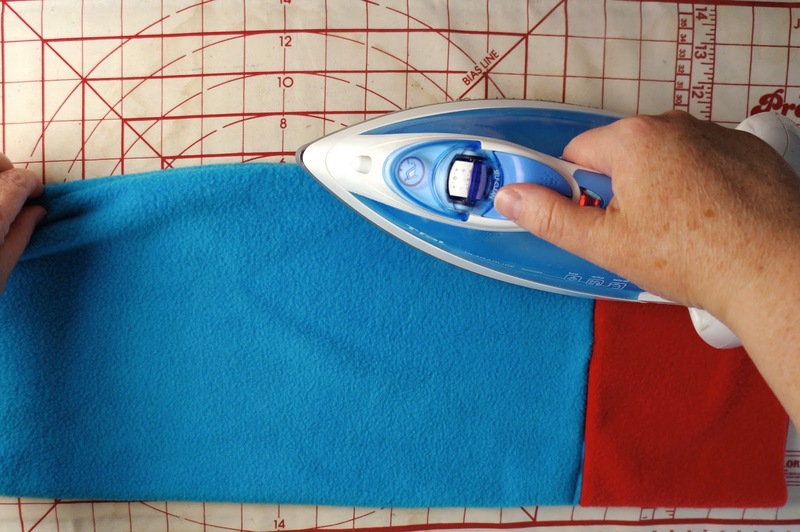 Pin the long sides of the blue fleece, right sides together. 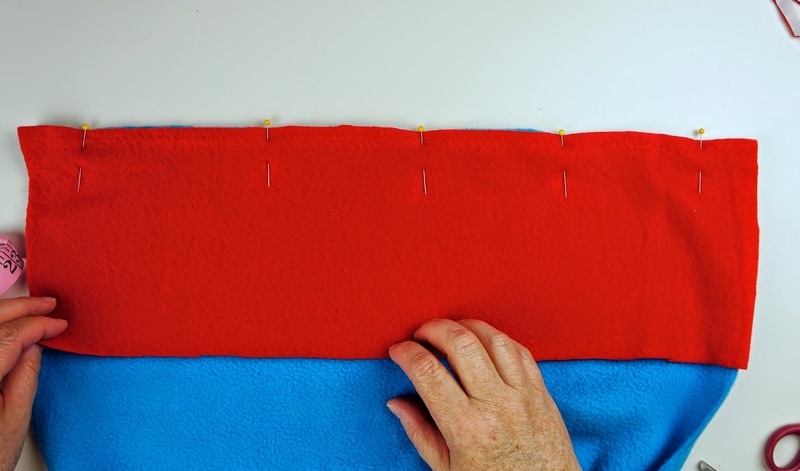 Starting at the seam of the fringe, sew a half inch seam to the other fringe end. 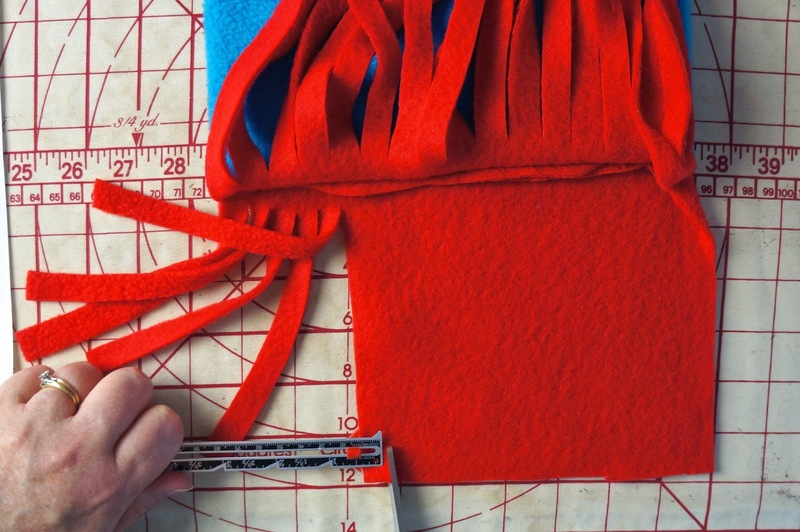 If you are only fringing one end, continue the half inch seam to close up the other end. 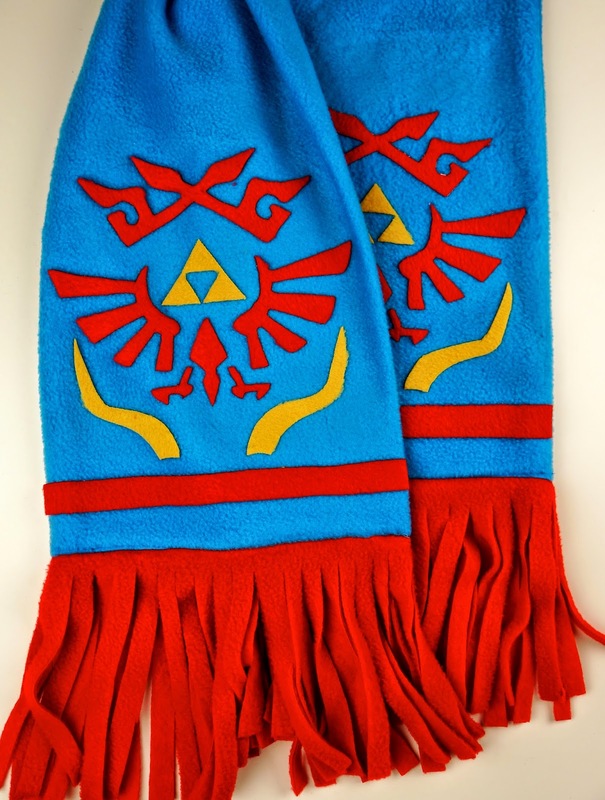 Turn your scarf right sides out. 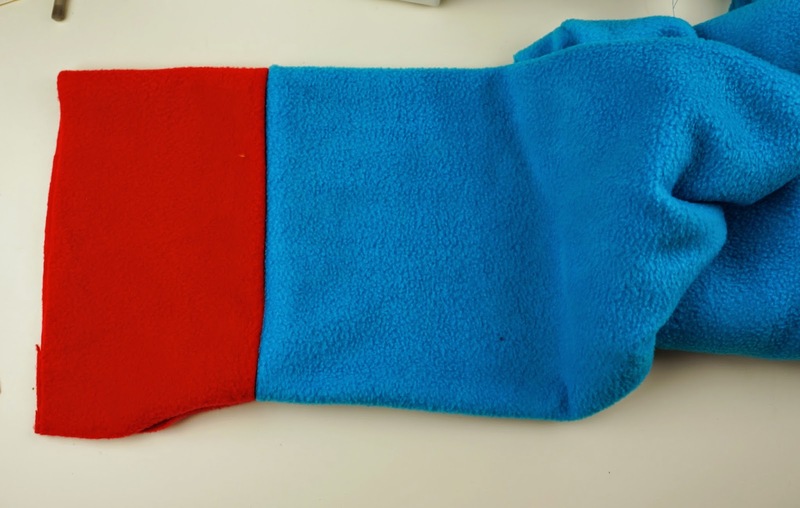 To prevent scarf from opening, sew the blue fleece closed above the fringe. Using the template, measure and cut a piece of Heat n Bond to cover the template. 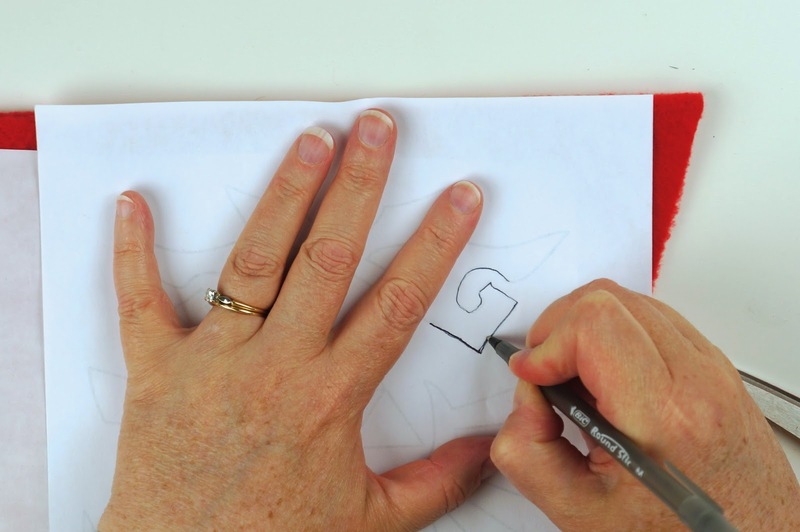 If you are doing both ends with the design, you will need 2 pieces. 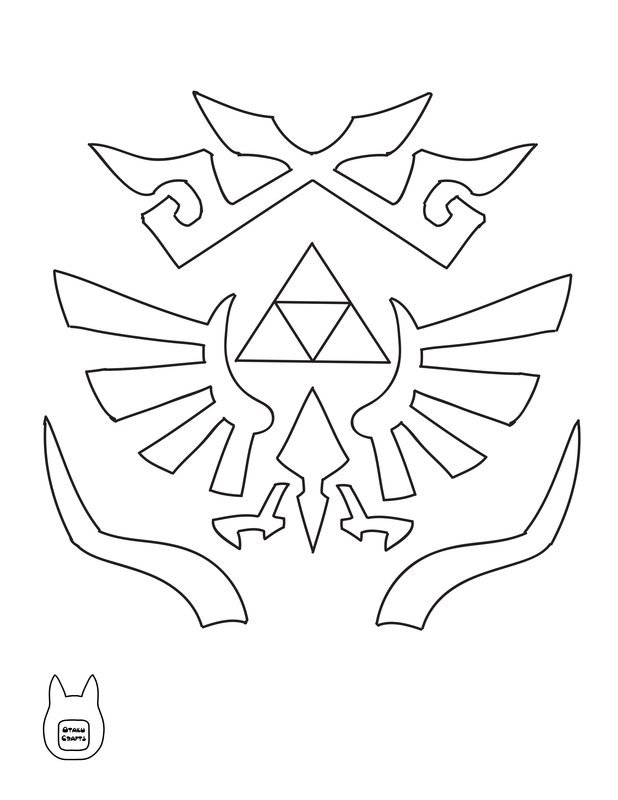 Cut a portion of your Heat n Bond sheet for the gold parts of the design (triforce and lower arms). 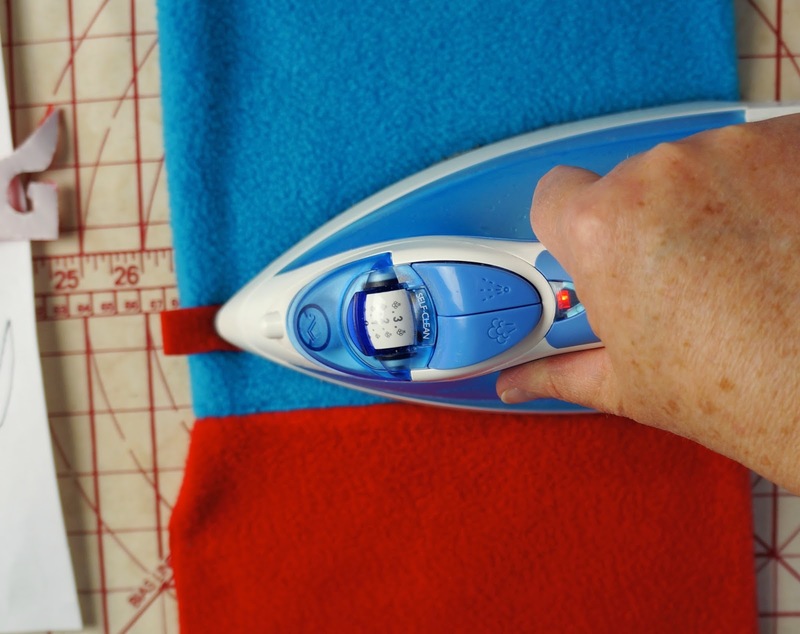 Using manufacturers directions, iron the Heat n Bond sheets to the wrong side of the red and gold fleece. 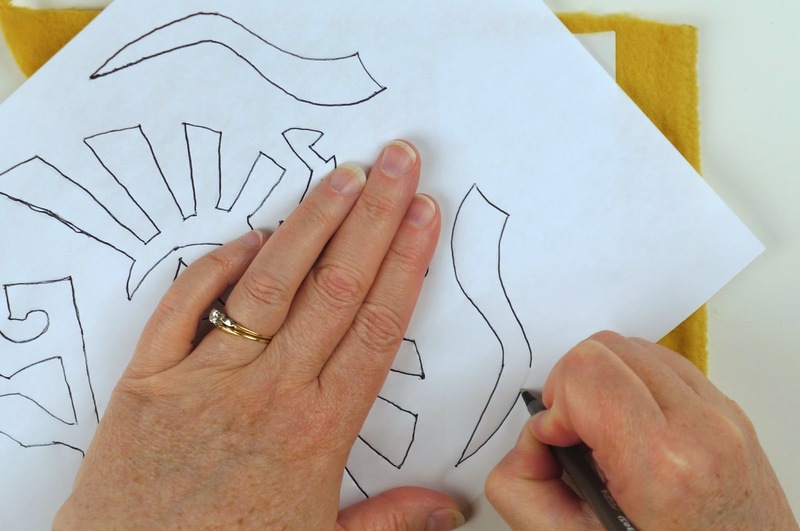 Trace the template design onto the correct colour of fleece/ Heat n Bond. 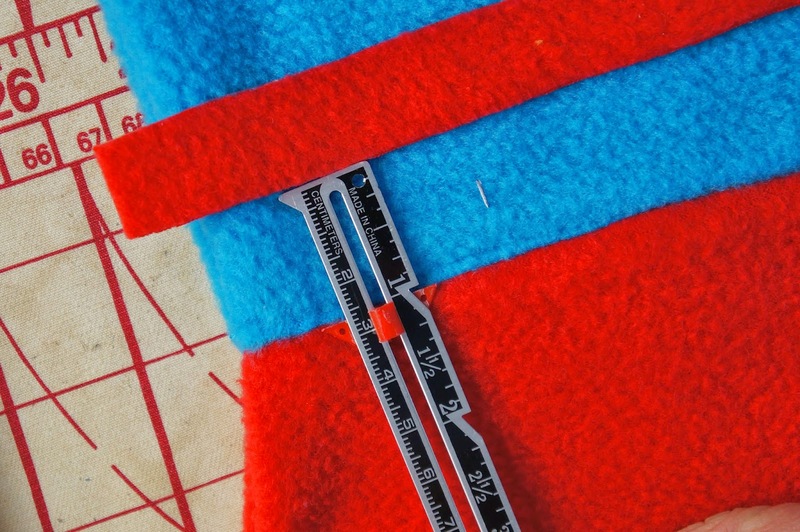 On the red fleece, measure and mark a strip 9" long by 3/4" thick (do 2 if you are doing both ends). 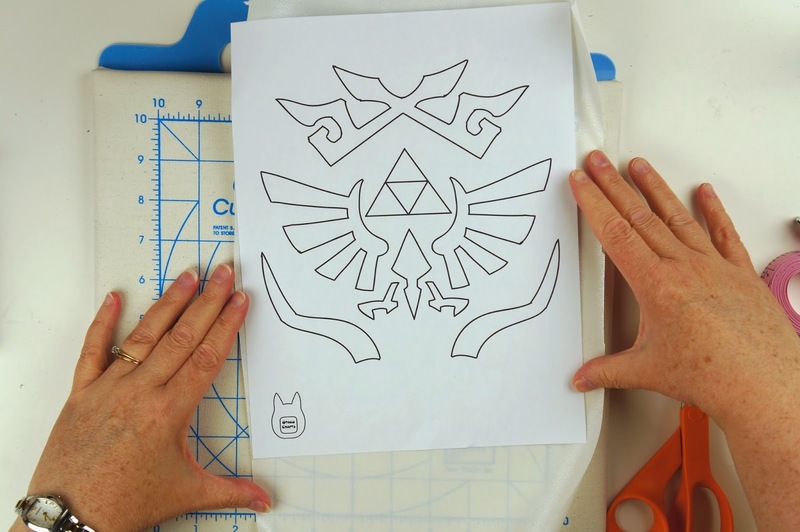 Cut out the design pieces. Start by peeling off the back of the Heat n Bond sheet for the red strip. Measure and place the strip 1" up from the fringe. 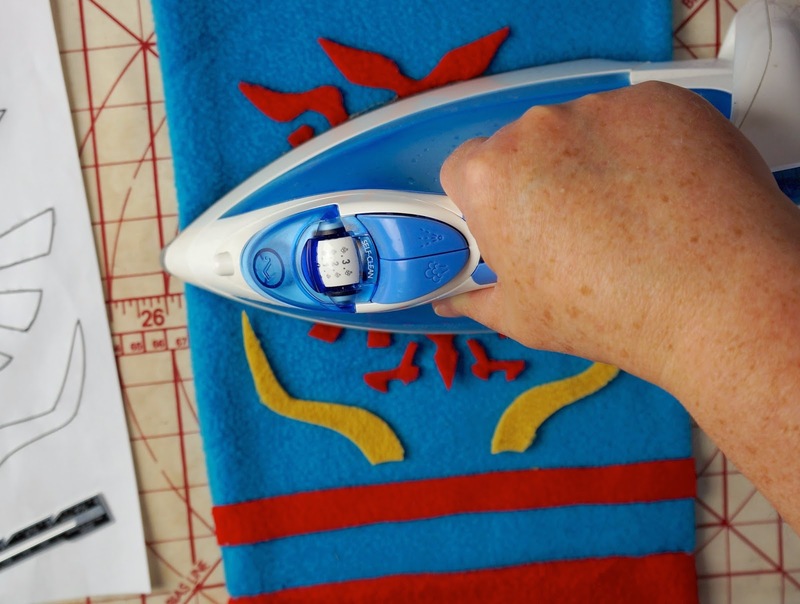 Iron on strip according do directions making sure all sides are adhered well. Again, peel off the backing of the Heat n Bond and place pieces on scarf end using the template as a guide. Iron pieces in place. Repeat design placement for the other end. Now to work on the red fleece to fringe it. 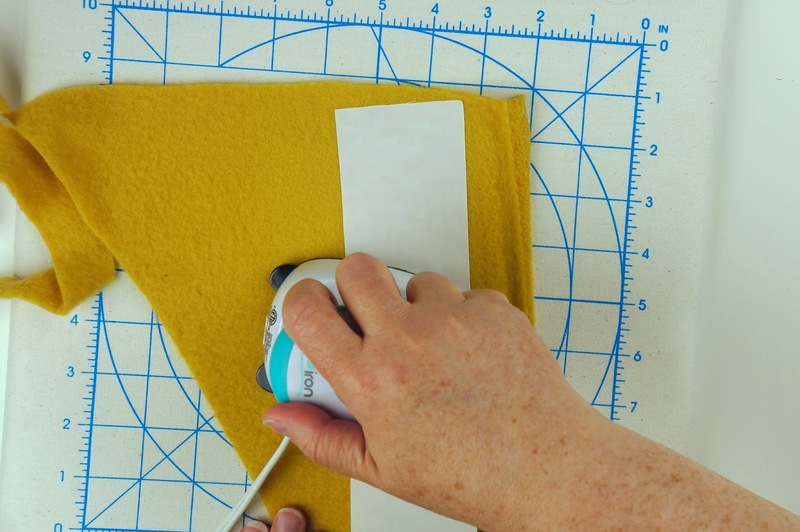 Start by cutting the folded edge of the fleece and separate the two sides. 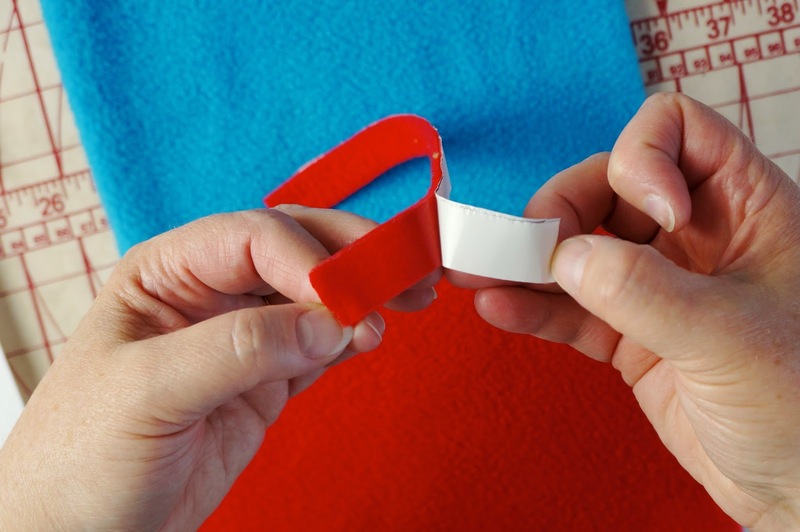 Measure and cut half inch strips stopping about a half inch from the top. 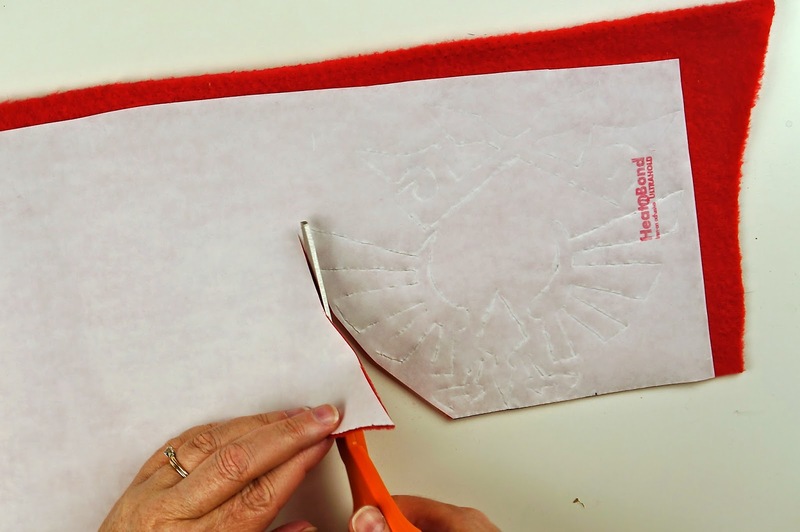 Continue to cut strips across the section and repeat for the other side. Repeat for the other end. 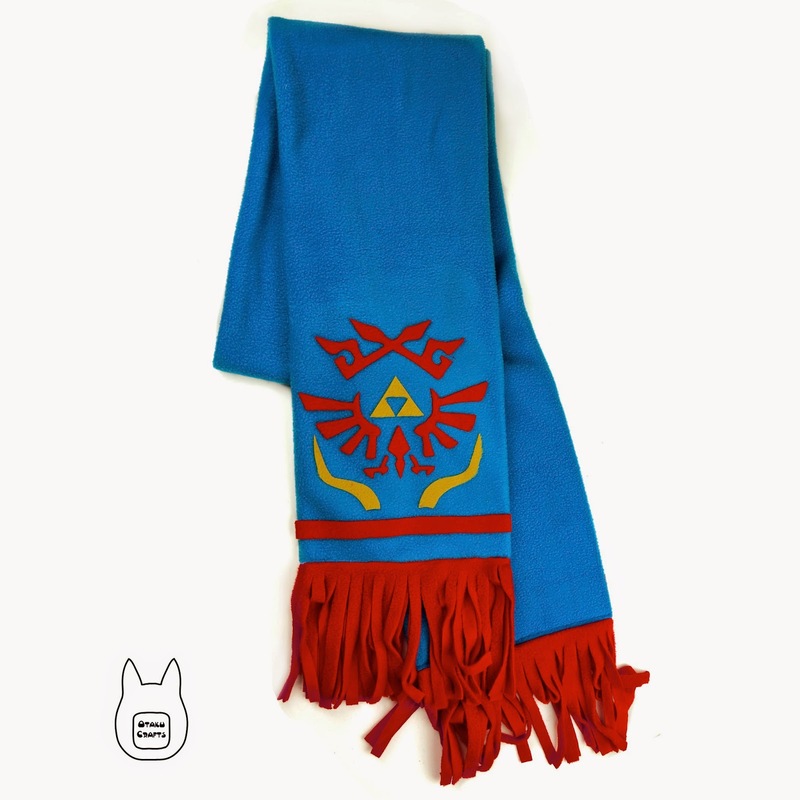 Now you have your finished Hyrule Warriors Scarf! This is so awesome! 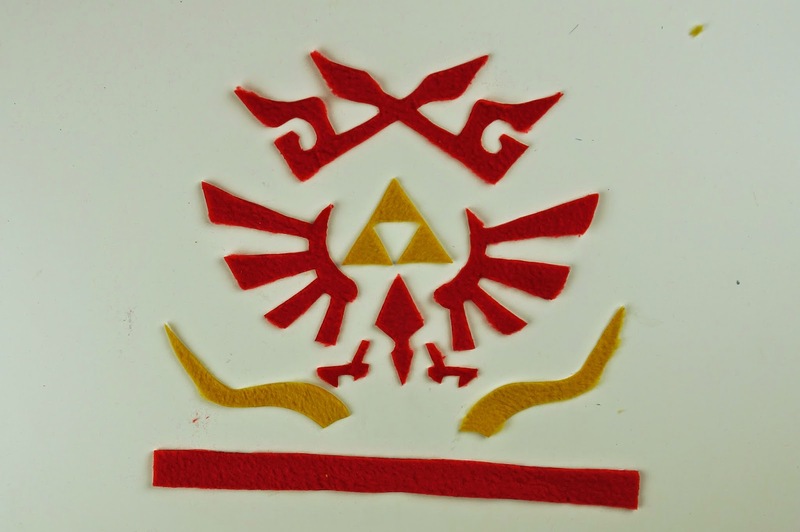 I will make one sometime! looks really comfortable and soft. Absolutely amazing!! Looks so much better than the ones you would buy online!! WOW! 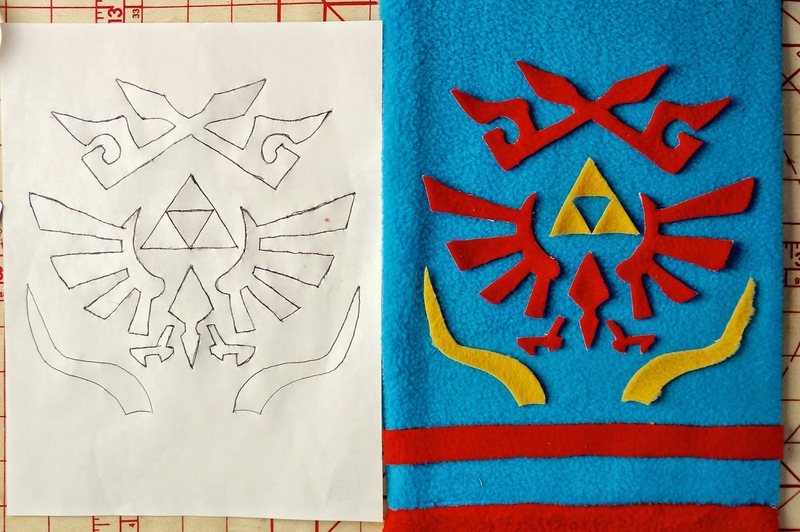 I so wish I had that stitching talent. 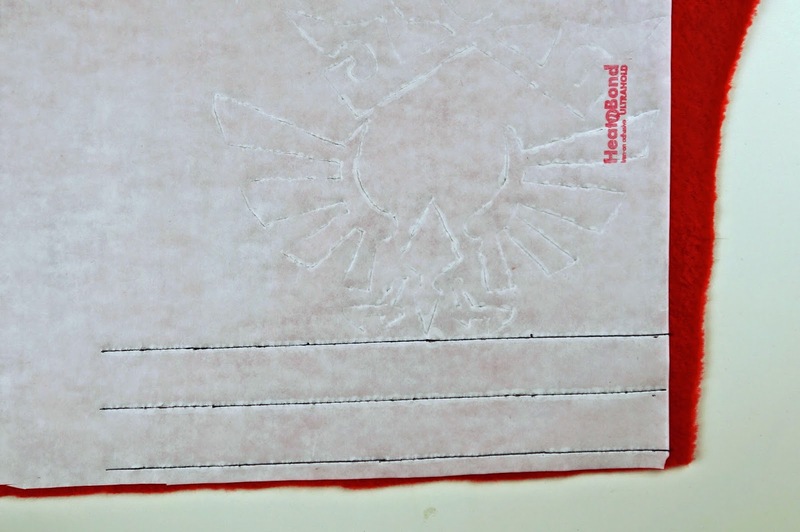 I'm terrible with a sewing machine and needle.